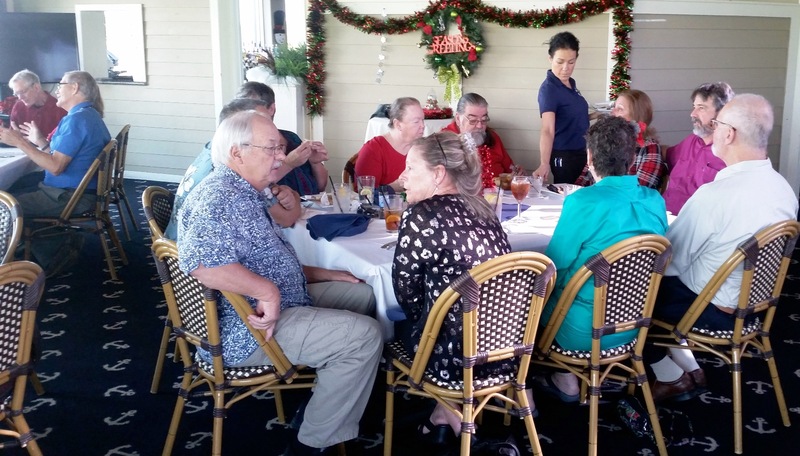 The 2018 December "Meeting/Christmas Party," will be held Dec 15th at The Twisted Tuna, located at 4290 SE Salerno Road, in Stuart. We will get started at around 1:00 pm. The cost is $25 per person. Again this year, we will have a private party room overlooking the Manatee Pocket area, which will be decorated especially for the occasion by Nancy, KK4WCC! Dinner will be served Buffet-style. Details on the menu will be posted here when they become available. Tickets may be purchased on the MCARA website, or directly from Ron, K4OIL, at the November 15th MCARA meeting. In order that we may inform the restaurant of the number of guests to expect, tickets must be purchased no later than December 7th. If you have questions, please contact Ron, K4OIL at (772) 260-5272. Please check back to this location for updates!